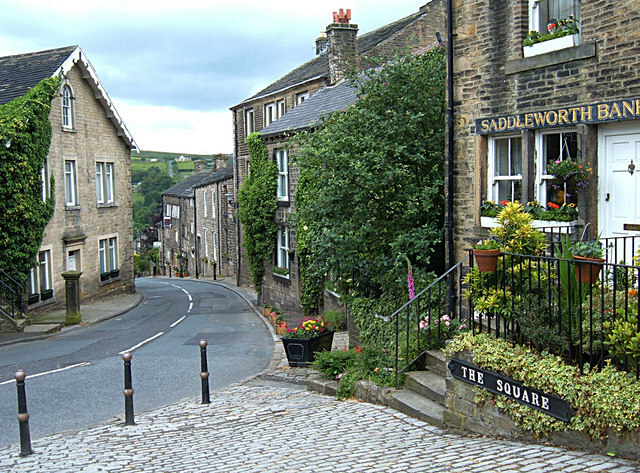 Dobcross is a small village in the north of England, nestling in the South Pennine hills. 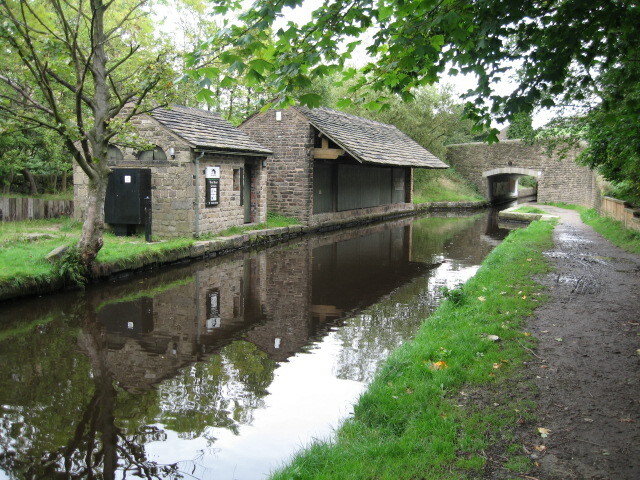 Picturesque and featuring fabulous surrounding countryside, it’s always well worth visiting. 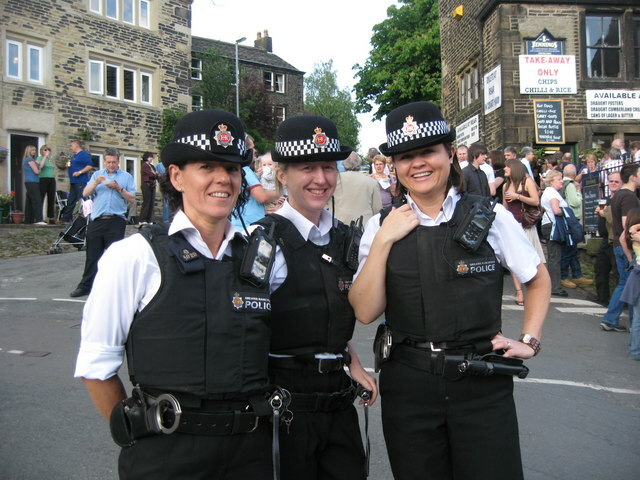 This is especially the case if you’re a visitor from overseas and want to see a genuine English village along with some of the local customs and traditions. 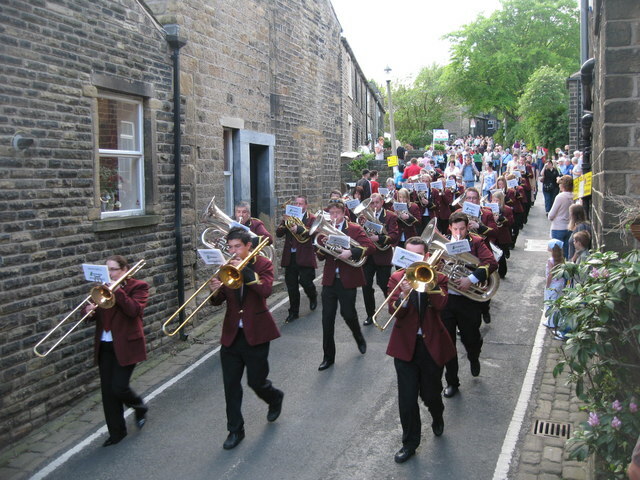 One of my favourite times to visit Dobcross is Whit Friday, the first Friday after Pentecost. But this isn’t because of any religious festival. 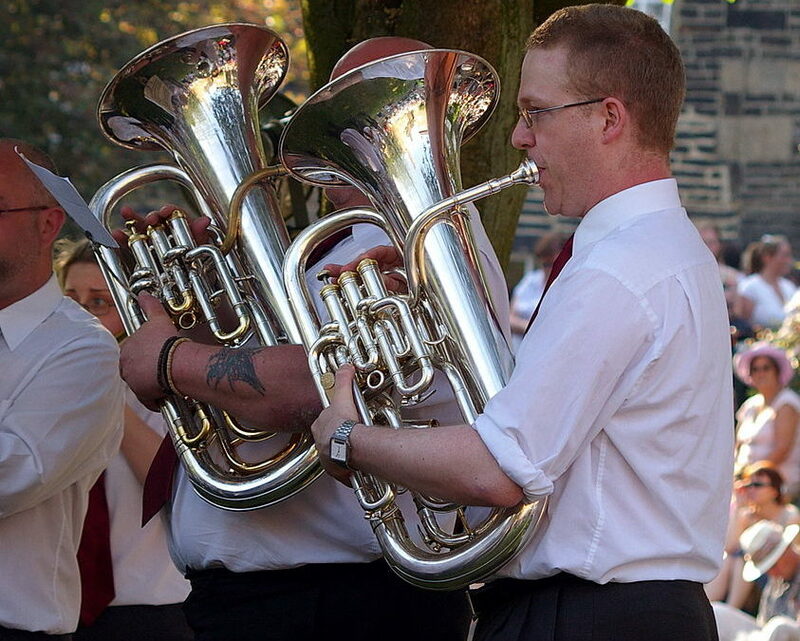 I’ve been several times on Whit Friday – it’s because of music and … beer, lots of it. For on that day every year, there are brass band contests. Brass bands parade through the streets playing and are judged at various locations throughout the day. There is usually a good crowd of people to see the fun. But the problem (and the funny part) is that brass band platers are notoriously fond of drinking beer and there are several excellent hostelries along the way who are only too willing to moisten the tonsils of flugelhorn players, trombonists et al. This has the inevitable result. The bands generally start their performances well as they march through the streets but as the day wears on and the beer gets taken aboard, the quality of playing becomes much more fun. See the video below. Although this is from the fictional, though very realistic, film Brassed Off I can personally vouch for the authenticity of this scene showing the Dobcross Brass Band Contest!